I never thought I would be the person who would author a pro-vegetarian article, especially one as passionate as the following one. As someone who has been attempting to pursue as eco-friendly a lifestyle as possible, I came to the realization that I simply could not continue to try to live an environmentally conscious life and continue eating meat. Two books led me to this conclusion. 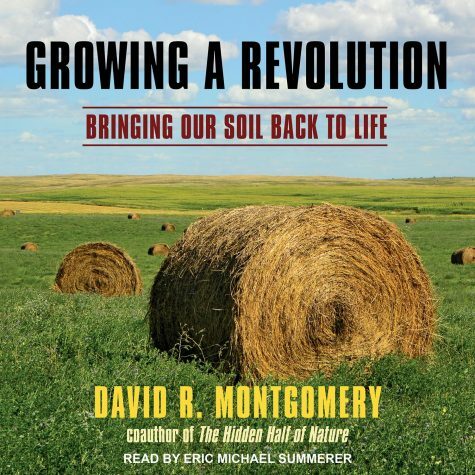 The first was Kiss the Ground by Josh Tickell, and the second was Growing a Revolution by David R. Montgomery. Both forced me to truly face the reality I had been attempting to avoid for years. The sun streamed softly through the window as the the noise of already busy chickens woke me from my slumber. Several minutes later, after dressing and pulling on my boots and hat, I exited the three season porch where I had been sleeping and set off through the farm. Immediately to my left, chickens were busy at work pecking their way through melon skins and rotting tomatoes, scouring around for insects. I passed under a few fruit trees and around an aged farm shed. I could now see the main attraction. Plots of vegetables in three directions — leeks poking from the ground, ten varieties of kale, and a little farther I could see a wall of tomatoes. In the distance on all sides there was either prairie or forest. By the time I reached the outdoor kitchen where breakfast and morning meetings would take place, I was refreshed and ready to start my long day of work on Mustard Seed Farm, a small Catholic worker farm 12 miles outside of Ames. It was an oasis, a microcosm of what the future of agriculture must look like, a model that worked more closely with nature. The livestock on the farm were chickens and ducks, roaming an enclosed paddock where they feasted on food scraps, farm waste and naturally occurring insects (albeit with supplemental chicken feed from time to time), and in return produced eggs for the farm and nutrients to the soil through their manure. Here is a system that provides ample food, returns nutrients to the soil, and allows the animals to live out their lives in a humane and healthy way. Now compare that with our current method of meat production. Just outside the farm on my drive back to Ames I enter into a radically different landscape. Corn and soybeans stretch towards the horizon in every direction. If I’d been driving down another another road, my nose might be met by the putrid, stench of a Concentrated Animal Feeding Operation (CAFO), where cows stand, packed tightly together in a foot of their own excrement while they fatten up for slaughter. For the sake of simplicity I am going to focus mainly on cows. The environmental impact of beef as it is currently produced is truly massive. This stems, in part, from harmful agricultural growing practices for corn and soybeans which cows primarily eat. Our agriculture system is dependent on expensive agrochemicals that degrade the environment and affect human health. 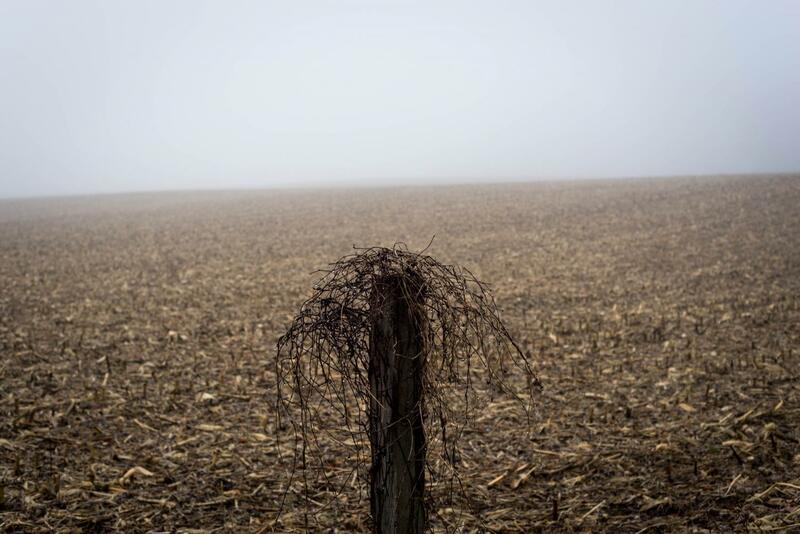 In Iowa, topsoil is being eroded at 10 times the rate that of natural renewal. It is a deeply unsettling model that will strip the land of its ability to support humanity. In addition, cows produce a large amount of methane, a greenhouse gas that is vastly more potent than C02, which accelerates global climate change. All of this is on top of the fact that a meat heavy diet cannot, as it’s currently sourced, feed the world. While many people will argue about the exact number of plant calories it takes to produce one calorie of meat, the ratio is well above 2:1. The biologic concept of trophic levels would put the number closer to 10:1. If we take more and more fields out of corn and soybean production and into the production of human calories, there will be a net gain in the amount of calories available for human consumption. However, this paints an overly simplified picture. Cows are able to draw calories from many sources that humans are unable to, such as grass and the stalks of corn plants. Not every calorie that is diverted away from cows is able to be used by humans. It also fails to consider that large herd animals are essential to a healthy landscape. The midwest, before the arrival of European settlers, was dominated by prairies and bison. The bison would roam the prairies, fertilizing the soil with their manure, and jumpstarting a variety of complex biological processes that maintained the soil health. The nutrients from the cow-CAFO complex are never returned to the soils in which they originated, fueling an ever growing dependency on agrochemicals. The prairie of the midwest was essentially the ultimate no-till rotational grazing system and it persisted since the glaciers retreated thousands of years ago. It did this without any unnatural inputs. An ideal system for humans is one that mimics the system of the prairie, but incorporates a variety of human crops. 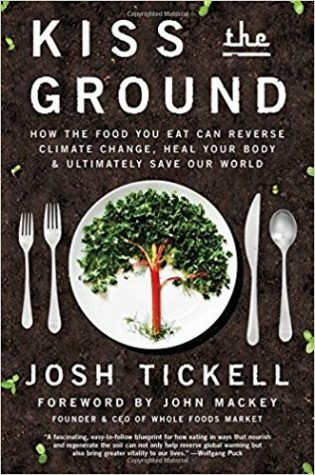 In this way we maximize the production of land by shifting away from mono crops of corn and soybeans, towards a system that produces both grains and vegetables for humans as well as meat grown off traditionally unused calories. This system also restores soil health as nutrients are cycled and untilled soil is able to gain more biological diversity. There are sustainable farmers who currently employ these methods. Clearly, the production of beef is not inherently bad for the Earth, but it certainly is in the way it is currently produced. Becoming a boycotter of CAFO meat, and a supporter of sustainable farmers is one of the most powerful things you can do to mitigate climate change. Healthy soil has the potential to sequester enormous amounts of carbon and a less industrialized system is inherently less fossil-fuel intensive. In addition, the current system is horribly inhumane. While every organism must feed on others to survive, it is not a law of nature that those animals must suffer a great deal. Countless studies have found that cows are very sentient and adversely affected by CAFO like conditions. I think of all the kids and their parents at the State Fair agricultural building oohing and awing over the baby animals. It is clear we have empathy for these creatures and would hate to see them suffer; however, we turn around and participate in a system that guarantees animals just like those at the state fair will continue to suffer somewhere out of sight. Rotational grazing of herds of cows greatly increases their well-being by allowing them to live out the entirety of their lives as nature intended. The meat can one day be consumed, but the system eliminates a great deal of the suffering leading up to that point. Beyond this, cows that eat less corn and soybeans often have higher concentrations of healthy fats (Omegas 3’s) and lower concentration of unhealthy fats. Grass fed also has higher concentrations of B vitamins. The consumption of any meat has been shown to increase the risk of certain cancers. There is almost universal agreement that highly processed meat is very unhealthy. However, of the three, health is the least consequential reason to stop eating meat. If you truly must have meat, do your research, find a farmer who is dedicated to sustainable grazing and buy his or her superior product. It costs more, but just like nearly everything we consume in this day and age, it either costs the consumer or it costs someone or the environment upstream. If you can’t afford the more expensive meat. Eat less. Chances are you are consuming way more than you need.